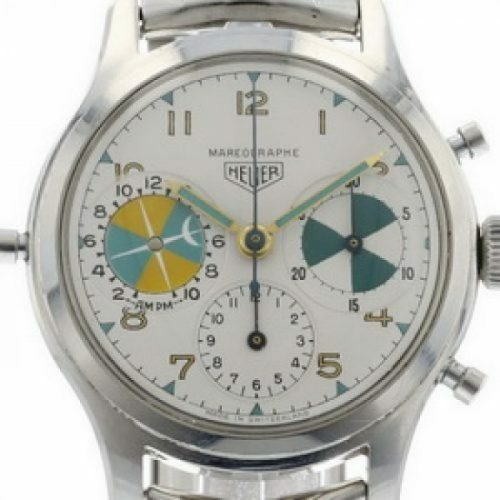 First execution Reference 2444 Mareographe has has Arabic numerals for all hours (other than 3-6-9); green and yellow tones for tide dial; green and white for minute recorder. 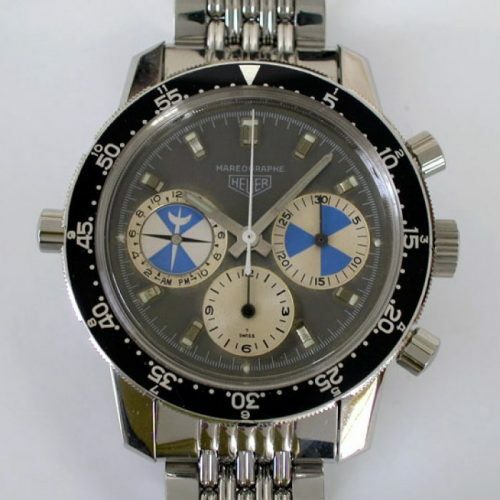 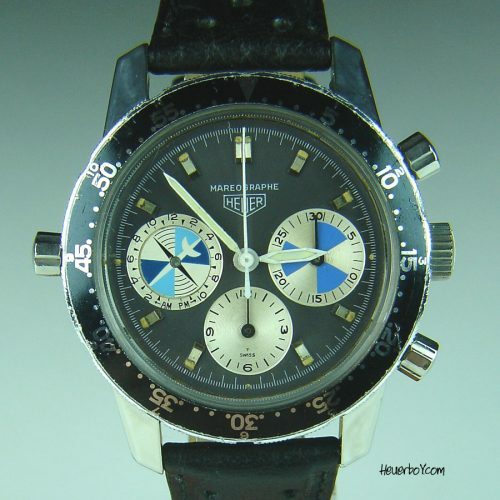 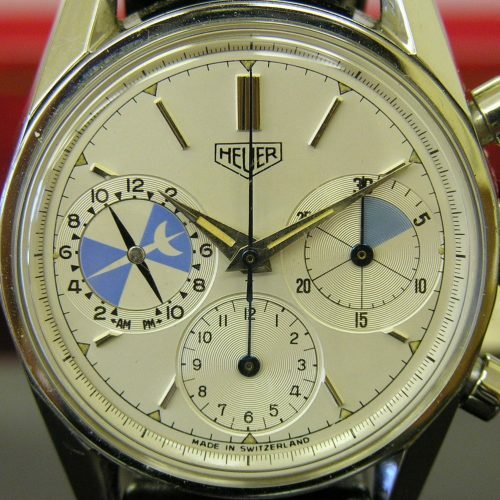 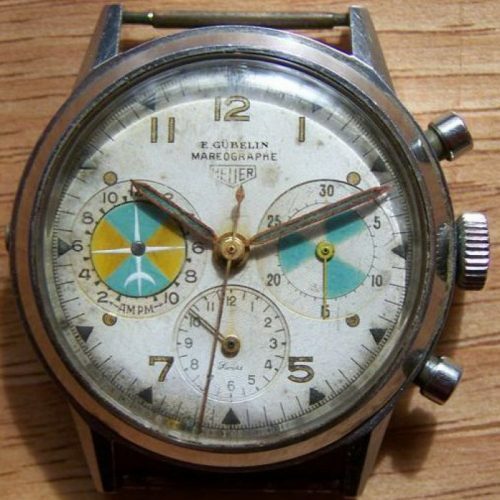 This Heuer Mareographe is identical to the Abercrombie & Fitch Seafarer, of the same reference. 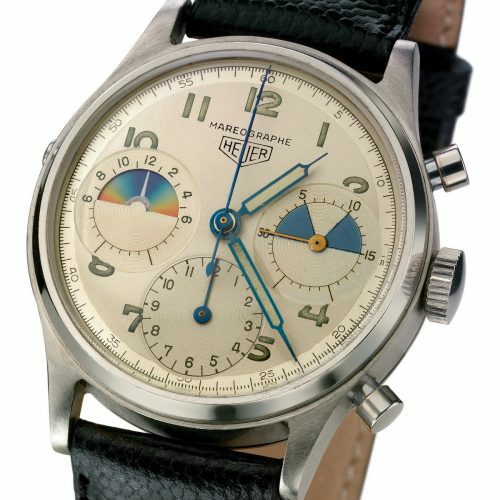 Reference 2447 Mareographe has applied steel markers; blue and white discs for tide dial; one blue segment on minute recorder. 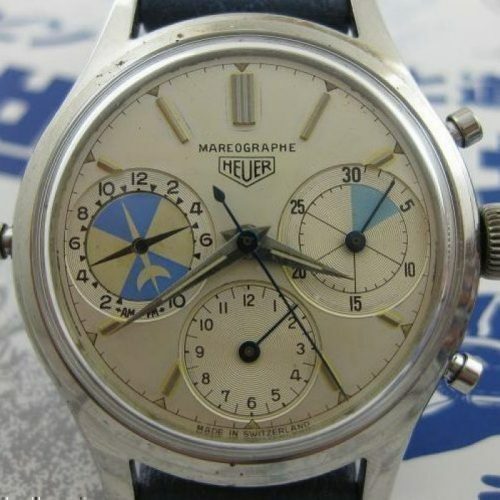 This Heuer Mareographe is identical to the Abercrombie & Fitch Seafarer, of the same reference.